DALLAS, Texas – Cisco Partner Summit - November 1, 2017 – Cisco today announced it is teaming with ConnectWise to streamline and simplify the creation of managed IT services based on leading Cisco® cloud- managed technology solutions. Available immediately, the ConnectWise Unite with Cisco portal provides a single interface and proven software tools to help Cisco partners and managed service providers (MSPs) easily manage their business commerce operations and rapidly stand up managed IT services. The ConnectWise Unite with Cisco cloud platform is designed to allow Cisco partners that are developing or expanding a managed service practice to create a unique offering that combines networking, security and collaboration services, including Cisco Meraki®, Cisco Spark™, Cisco Umbrella™ and Stealthwatch Cloud®. ConnectWise Unite with Cisco's single management portal simplifies the increasing number of gateways required to manage, monitor, and bill customers and gives MSPs the ability to consolidate the many tools needed to drive a world-class MSP practice. The ConnectWise Unite with Cisco solution will enable MSPs to manage multiple customers from one interface to save time and increase opportunities to add monthly recurring revenue. Another feature of the ConnectWise Unite with Cisco portal is that MSPs can use ConnectWise's integrated business management platform to easily deploy and automate billing, solution management processes, and consolidated ticketing. ConnectWise's software solutions provide partners an integrated, seamless experience, enabling them to automate and streamline task management, help increase productivity, efficiency and profitability, and grow their businesses. "There is a proliferation of customers turning to MSPs to assist them in managing their IT environments, addressing their expanding security requirements, and helping them create a competitive advantage," explains Nirav Sheth, Vice President, Partner Solutions, Architectures and Engineering, Cisco's Global Partner Organization. "Our collaboration with ConnectWise provides our channel partners with an opportunity to drive long-term recurring revenues by rapidly building a managed services practice and accelerating their sales revenues through a suite of Cisco services from ConnectWise. By allowing MSPs to automate time-consuming billing and solution management processes from a single pane of glass, ConnectWise Unite with Cisco enables partners to scale their services in the marketplace and help maximize their profitability." "Cisco's cloud-managed offerings coupled with ConnectWise's expertise in delivering robust managed services capabilities is a powerful and compelling combination," said Arnie Bellini, CEO, ConnectWise. "With one vendor relationship to manage in Cisco for industry-leading IT solutions and with one MSP platform from ConnectWise, solution providers can effectively automate and scale across multiple customers. 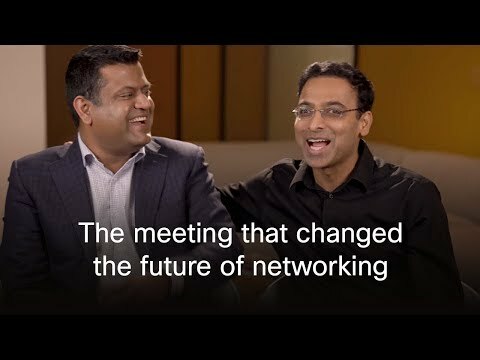 ConnectWise Unite with Cisco gives partners the ability to drive greater efficiencies, lower costs, focus on providing customers with great support, and grow their businesses." Partners can begin using ConnectWise Unite with Cisco immediately. ConnectWise is offering a free trial of ConnectWise Unite with Cisco to all MSPs and Cisco partners through January 1, 2018. ConnectWise Unite with Cisco is available immediately in North America, and Western and Northern Europe, and a broader, global roll-out plan is planned over the next 12 months. Cisco and ConnectWise are offering ConnectWise Unite with Cisco training through a series of webcasts, roadshows, and online training. Partners can register for the ConnectWise Unite with Cisco free trial beginning today, and upon completing registration, they will receive access to the webinar series which will begin on November 13, 2017. "Liberty has built our next-generation MSP offerings on top of Cisco technology, and ConnectWise Unite with Cisco enables us to streamline our back-office billing and management of these solutions, and that frees up staff to continue bringing innovative new offerings to market. We view this alliance between Cisco and ConnectWise as a watershed collaborative event in the evolution of MSPs in the marketplace." "As a leading reseller of IT products and additional services in the Nordics, Dustin has a strong focus on expanding our business by delivering managed services to our small and medium-sized business customers. ConnectWise Unite with Cisco plays perfectly to our goals, providing us with automated delivery to help scale out offerings, increase share of wallet and profitability, and be more responsive to customers' requirements for managed services."